Many people abandon their Vim learning efforts because they fail to become productive quickly enough. The lowest common denominator form of behavioural expectation from a new text editor may be, arguably, embodied by Microsoft Notepad. This article provides a 1:1 mapping of Microsoft Notepad's functions to Vim so that Vim newcomers can feel quickly at home. Vim-specific bells and whistles are avoided to keep focused on the stated goal. This article’s objective is to map the features found in a simple text editor such as Microsoft Notepad1 to its Vim2 equivalents. 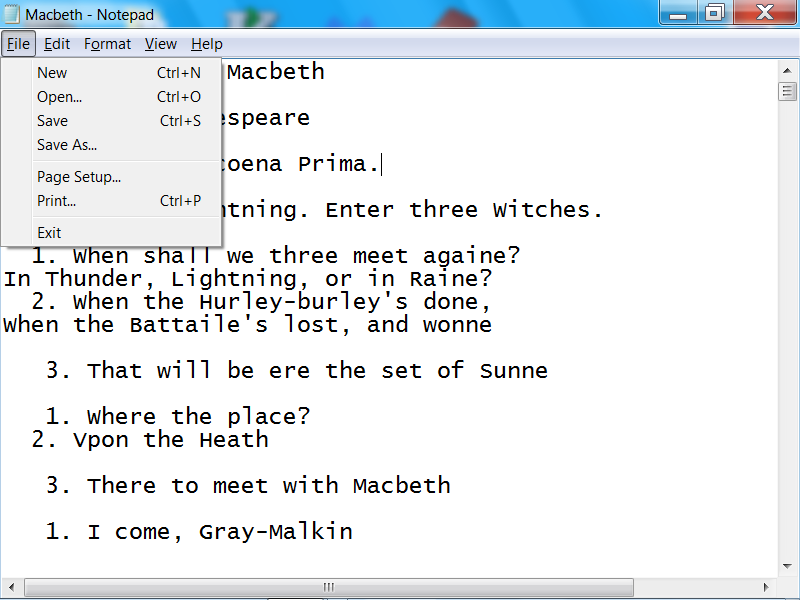 The same concepts are also applicable to other text-only editors such as Textpad in Gnome. Likewise, most Integrated Development Environments such as Eclipse or Visual Studio implement a superset of Microsoft Notepad’s editing functions. This text does not attempt to show how Vim may be more effective than Notepad or other alternative editors such as Emacs3; the aim is to help users quickly find themselves at home in Vim. 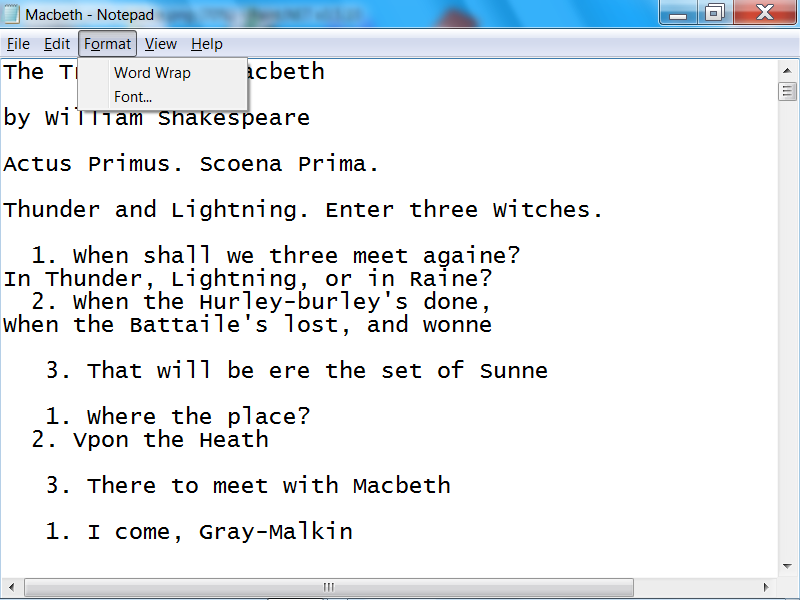 The first top sections deal with Notepad’s menus. The last three sections (Text Browsing, Text Selection and Text Modification) explain how to work with text outside the context of menu commands. In all cases, if any of the described commands fails, press [ESC] and try again. All commands work in Vim’s Normal mode which is set by pressing [ESC]. Other modes such as Visual and Insert are explained in the Text Selection and Text Modification sections. In single window/tab applications such as Microsoft Notepad, creating a new file implies deleting the current file (if any) so that we can start entering new text from scratch. When this is the case, we have to use the :bd! command if we want to start a new file and disregard unsaved changes. Please note that e is a shortcut for edit. Also ed is equivalent. Furthermore, we may also enter the File Browser using :E or :Explore but it is simpler to remember one single command as we will see in the next section. Pressing [TAB] will complete README. If we press [TAB] again, we will given the next file that matches the prefix, if one exists at all, for example, README.old. Be aware that if we want to ignore a currently modified unsaved file, we need to append ! to e as explained in the last section. Saving a new file with a brand new name or saving an existing file with a different name are both performed by specifying an argument file to the w (write) command: [ESC]:w <file>. In general, most editing done in Vim concern file types that have some sort of markup that indicates how the file ought to be rendered by one or more processors. For example, LaTeX (.tex) files are usually compiled to PDF. Source code is often compiled to HTML (JavaDoc, Haddock, and so on). Since Vim may not be able to invoke a Print Dialog, it is best to render the text file to a printer-friendly format and then use the Desktop Environment’s applications (PDF Viewers and so on) to perform the actual printing. The :q command is used to exit Vim. Just like Notepad, Vim will not allow us to quit the application accidentally if there are unsaved changes. Therefore, we use :q! to ignore the error and quit regardless of unsaved changes. The option :qa! should not be required when using Vim like Notepad (editing one file at a time). However, we may accidentally open multiple buffers and perform changes in them; in this case the simpler :q! form will only attempt to exit the current buffer. 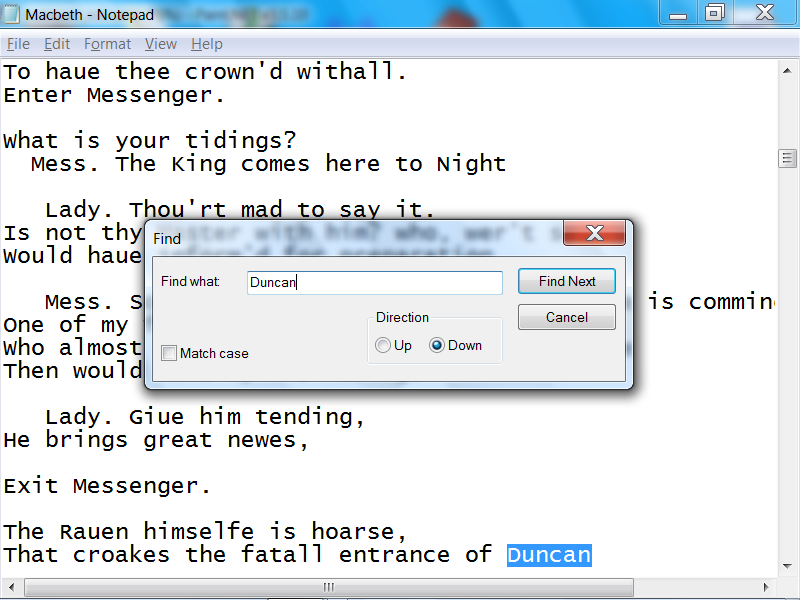 Notepad has only one level of undo; therefore, the keyboard shortcut [CTRL-Z] works both as “undo” and “redo”. Since there are multiple levels of undo in Vim, different keys are defined for either of said actions. The Notepad shortcuts simply don’t work so we have to get used to the Vim-only ones: y and p.
Notepad relies on a single Find Form that we use to select the text string to be searched, whether we want to search “Up” or “Down” and whether we want to match the case or not. In Vim, instead, we need to decide whether we want to search up or down first as there is a distinct command for each type of search. However, once we start searching we can easily go up and down using different keys whereas in Notepad we can—apparently—only search forward. The text to be matched (old). The text to be replaced with the match (new). Whether to match case (\c) or (/i). Whether to find the next occurrence or replace all (/c). Although there are many ways to achieve the same effect, it is more intuitive to combine the commands explained in the Browsing Text and Selecting Text sections. Please note that the: the y command, unless it is used the visual mode (to be covered further on), will wait until the range of the text to be copied is specified. For example, y$ copies the text from the cursor’s position until the end of the line. The status line displays the line number and column at which the cursor is currently located. General help may be displayed by pressing [F1] or, alternatively, by typing :help. Browsing text is about scrolling up and down, and moving the cursor to specific locations rather than entering text. In all cases, Vim needs to be in Normal mode as opposed to Insert mode, therefore, the assumption is that we have pressed [ESC] before typing any of the suggested keys and key combinations. Vim, like Notepad, responds to the arrow keys under normal circumstances. However, the arrow keys are considered problematic in Vim for two reasons. The first is that they may not be mapped correctly when using a remote terminal. The second is that the default keys used by Vim are in the so-called “home row” so the typist does not need to move their fingers away in order to move the cursor—which is the most frequently used form of keyboard input. Developing the muscle memory to get used to the Vim cursor movement keys takes a little while but it is a worthwhile investment. Both Notepad and Vim allow moving the cursor to the next (or previous) word by pressing [CTRL-Arrow Right] and [CTRL-Arrow Left], respectively. However, the Vim-only keys are recommended since they do not require [CTRL] and avoid remote terminal compatibility issues. Jumping to the beginning or end of a line is such a common use case that most keyboards have dedicated [Home] and [End] keys for this purpose. These keys work as expected in Vim but they seldom map correctly on a remote connection scenario. 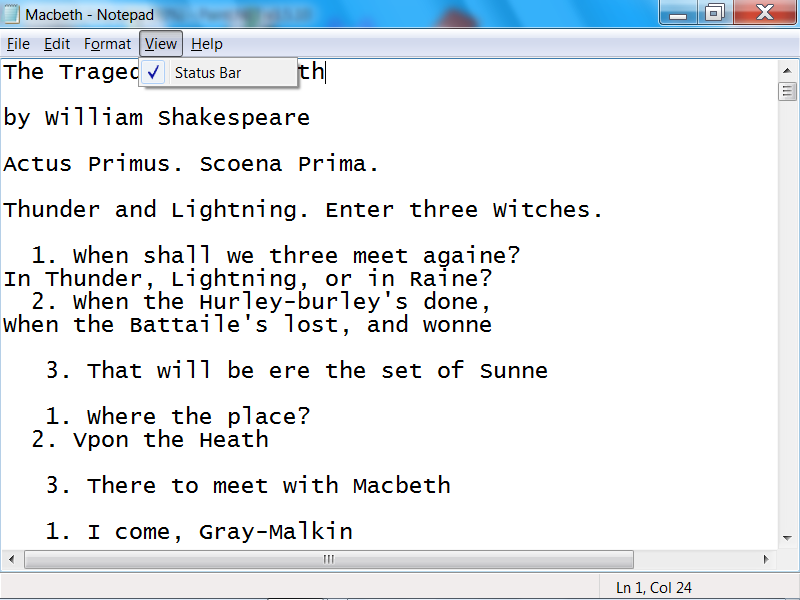 Most edit commands on Notepad work on the basis of selected text and/or the current cursor position. 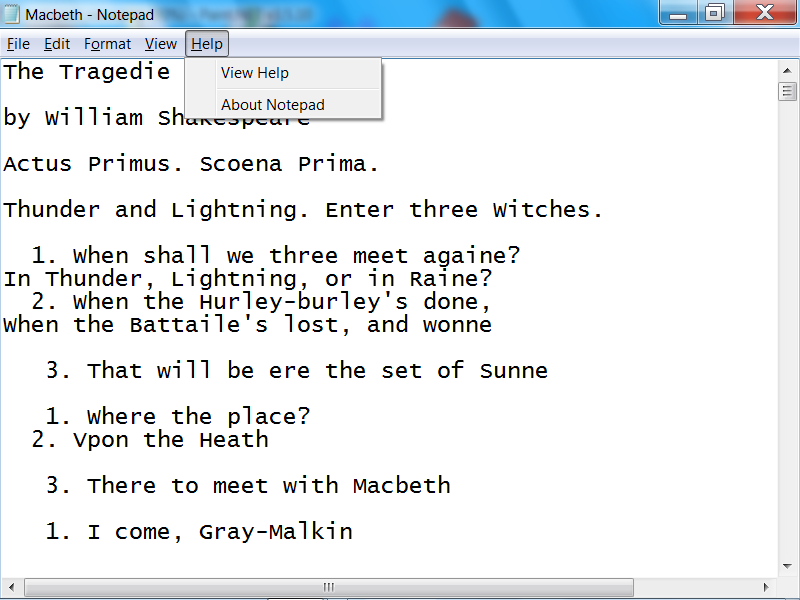 In Notepad, text is selected by holding the left mouse button and moving the cursor from the selection beginning to the selection end. Alternatively, text can be selected by moving the cursor using any of the previously discussed key combinations whilst holding [SHIFT] at the same time. In Vim, rather than holding [SHIFT], we type v to activate the so called “Visual mode”. This has the effect of selecting whatever text sits between the cursor position before v was pressed and that of of the current cursor position. We return to the Normal mode by simply pressing v again or by pressing [ESC]. If we want to select complete lines rather than specific start and end character within the start and end lines, respectively, we can use V instead. Vim is called a “modal” editor since its behaviour changes according to the mode in which it is. For example, when Vim is in Normal mode, we can move the cursor using h,j,k,l, we can press : to enter commands and so on. In the “visual” mode, instead, we select text as we move the cursor using most of the Normal mode commands. Vim has a so-called “Insert” mode which, as its name suggests, it is meant to “insert” things; namely regular text. Some people4 may suggest that the fact that Vim is either in Normal or Insert mode sets it apart from regular editors such as Notepad which lack such a “modal” nature. What is problematic about this view is that it gives the impression that these modes (Normal, Visual and Insert) have equal weighting and that the user ought to be “concerned” with each mode as though they are likely to spend equal amounts of time in each of them. Let’s set the record straight. The Normal mode, which is the mode under which we freely move the cursor, and perform operations such as find and replace, is where we are supposed to be most of the time. The other non-Normal modes such as Visual and Insert are meant to achieve a single goal (such as selecting a segment of text or writing a sentence, respectively). Once the goal is achieved, we get back to Normal mode right after. As we will see, most text modification we do directly from within the Normal mode. The d command’s behaviour is interesting. 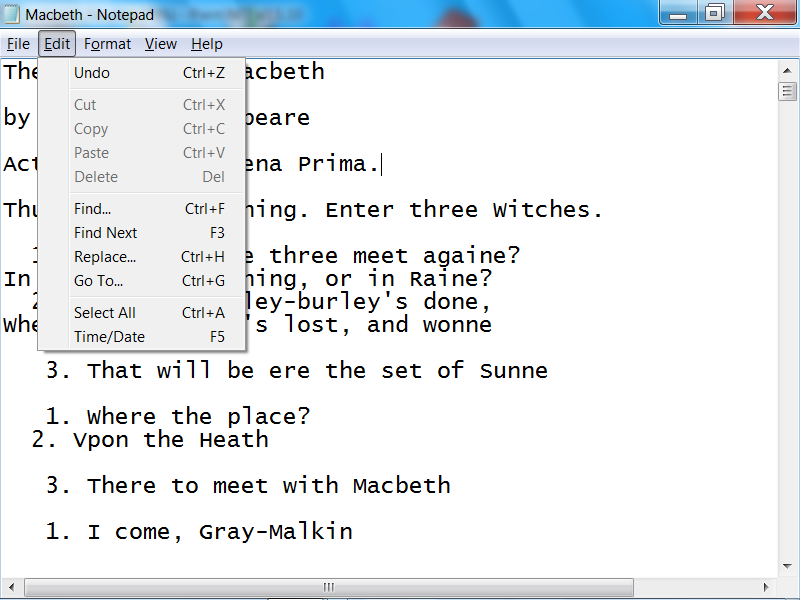 From a Notepad perspective, it acts like pressing [Del] when a text selection is active. However, if no text has been selected, it will wait until we move the cursor to specify a new text selection to be deleted. For example, dk will delete the character to the right whereas dG will delete everything from the current cursor position until the end of the document. In Notepad, if we have two lines that we want to join into one, we just need to position the cursor after the last character of the first line and press [DEL] or, alternatively, move the cursor at the first character of the second line and press [BackSpace]. "The world is my country, sience is my relgion." In this case, we refer to replacing a specific text range as opposed to a “Find and Replace” operation. 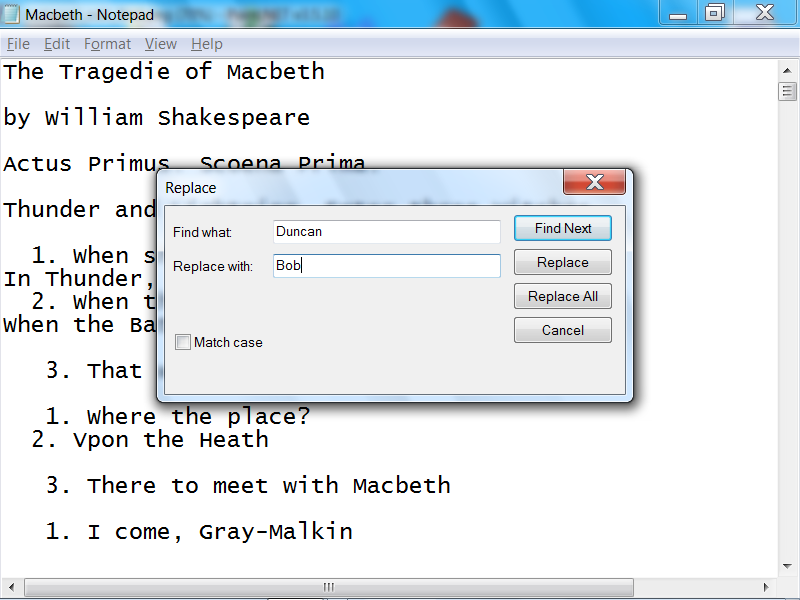 In Notepad, we usually do this by highlighting the desired text range and typing the desired new text. In Vim, we do this differently according to the nature of the text range. Where we want to insert text. The fact that we should return to Normal mode right after by pressing [ESC].